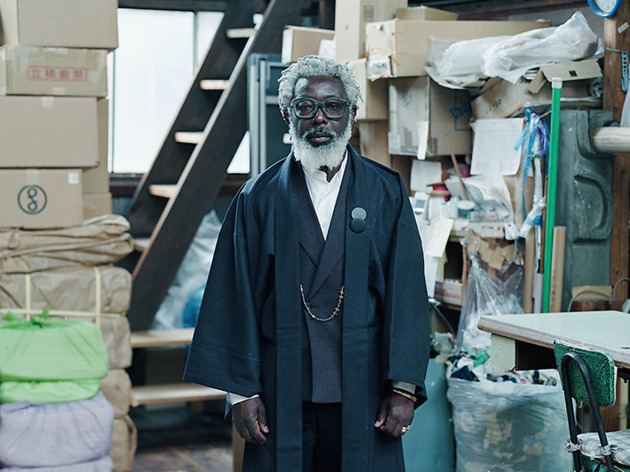 Savile Row meets kimono? Sign us up. Norwegian designer T-Michael and kimono tailors Y. 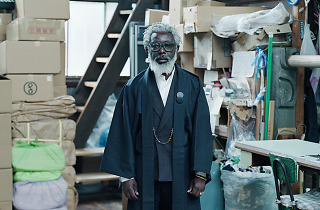 & Sons (part of kimono manufacturer Yamato Company) have brought the two fashion worlds together, collaborating to create a stunning kimono 'suit' dubbed the T-Kimono, comprised of a woollen haori jacket and a woollen kimono. The ensemble is a perfect fusion of Japanese and Western styles, featuring design and tailoring touches you'd usually find in Western-style men's suits while still keeping a kimono silhouette. As a whole, it exudes a sleek, modern feel – this truly is a kimono you can wear without being considered eccentric. Men: new office outfit for winter? This collaboration and its very easy-on-the-eye lookbook debuted back in summer, but the T-Kimono, which comes in dark black and blue, has only gone on sale this month. It ain't cheap (the haori is around ¥75,000, while the kimono retails for around ¥81,000), but if you're looking to (re-)incorporate the kimono into your daily wardrobe, we'd argue this is more than a good place to start. Get yours by visiting Y. & Sons' online shop, or head to their physical outpost in Ochanomizu. Also, keep watching this space to see if the T-Kimono will be named Best Product at the 2017 Love Tokyo Awards. See what it's up against here.